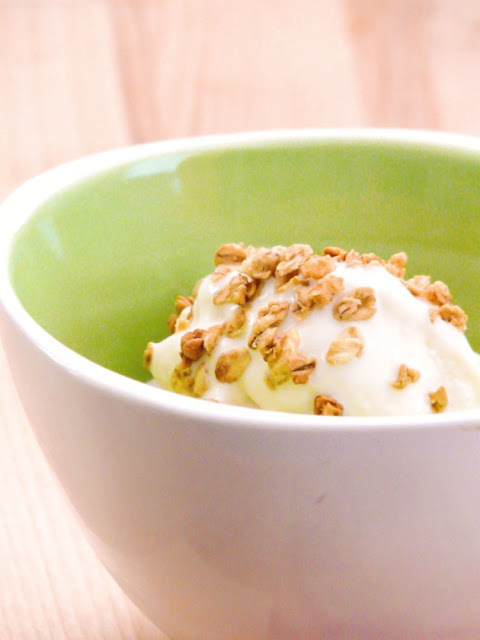 Frozen yogurt was an occasional indulgence for me when I was growing up in Singapore. I would always try to get my hands on some but unfortunately, I wasn't always given the opportunity. See, my parents were really strict and I wasn't allowed to go out with my friends very often. I remember the rules clearly: No going out anywhere after school, except for the library and only with permission. I wasn't really allowed frequent outings with my friends on the weekends either. If I had to ballpark, I think my weekend outings were limited to a couple of times a month. It's not like I was a caged animal or anything. I did go out often enough but usually with my family. My mom was just...over protective. She used to hunt high and low for my diary and bugged the phone so that she could listen in on my phone conversations, making sure I wasn't chatting up some boy. Needless to say, I suffered from quite a bit of teen angst. I now look back at those days with fondness and amusement because my mother passed away almost 20 years ago at the young age of 44. Her actions back then may have seemed harsh but I know she acted out of love. 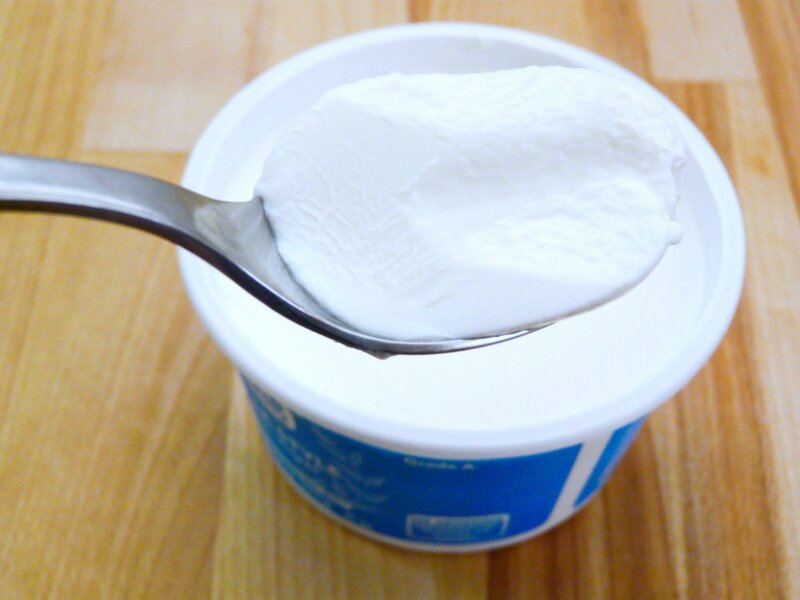 Anyway, back to the yogurt. When I did meet up with my friends, we would always go to "town" as we called it. "Town" referred to Singapore's tourist and shopping hub on Orchard Road. Whenever I was in the vicinity, I would make time to stop by Centrepoint (a popular shopping center in the area) because of one thing -- Yami Yogurt. Yami Yogurt was a froyo chain back in the day and they had a little station in Centrepoint's food court downstairs. Man, I loved their yogurt. They didn't have very many flavors but it didn't matter to me because the only one I ever ordered was their regular/original flavor; similar to Yogurtland's regular Tart flavor. I still love frozen yogurt to this day and though there are so many froyo chains to choose from in California (Pinkberry, Yogurtland, Tutti Frutti, Cherry on Top, etc. ), I actually don't live that close to any of their store locations. Since I'm a simplistic frozen yogurt eater, all I need to know is how to make a basic Tart flavor and I probably wouldn't need to buy from any of those chains again. Give me big scoop of Tart and a generous heaping of granola topping and I'll be very happy. I don't care about Taro, Red Velvet, Passionfruit or all the other fancy flavors. 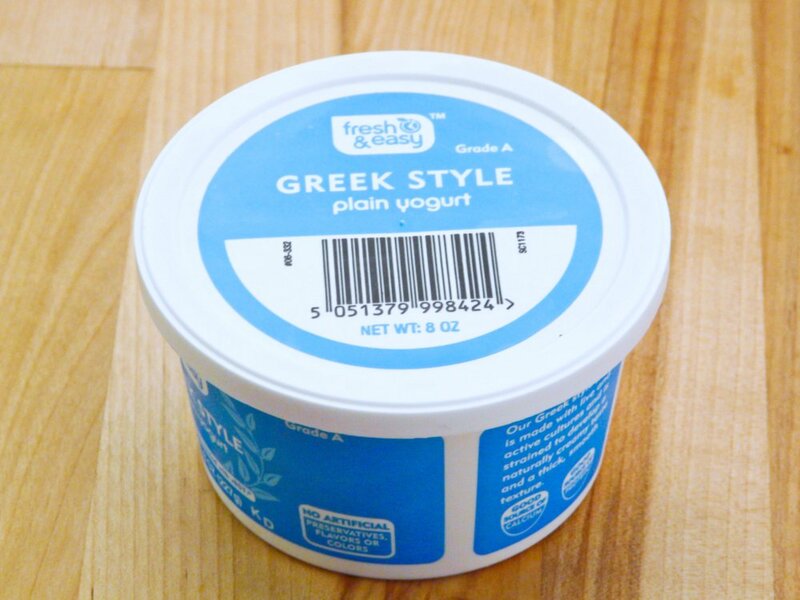 I was able to find Greek style yogurt at Fresh and Easy. See how much thicker it is than regular yogurt? Add the honey. 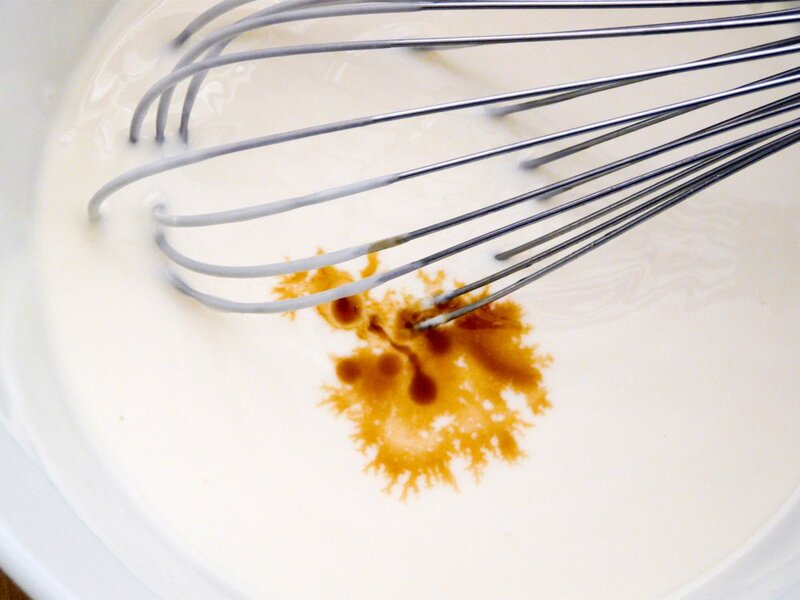 I used only 1/3 cup because I don't like it too sweet. Up the amount if you like it sweeter. 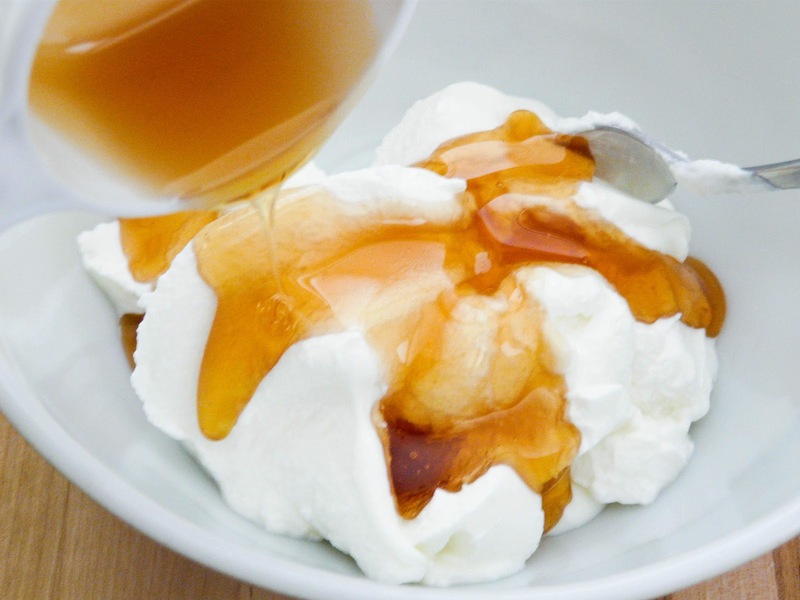 Whisk the honey and yogurt together then add the vanilla essence. 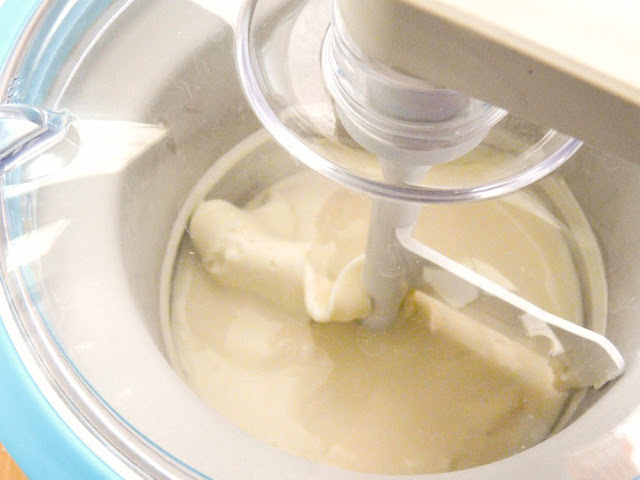 allows me to make small batches of homemade ice cream on a whim. Pour the mixture into the bowl of your ice cream maker. 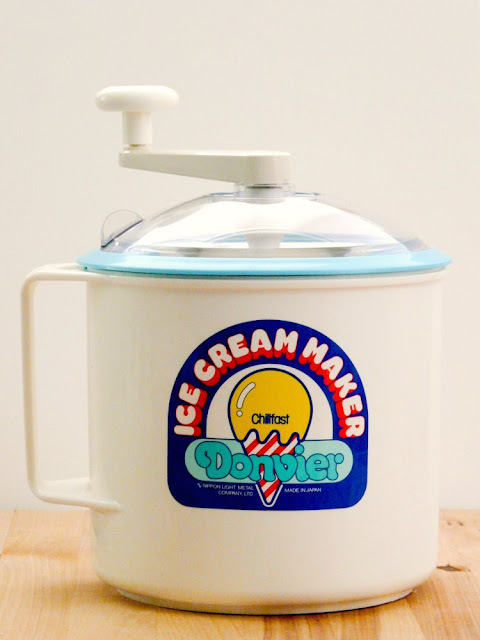 Follow the manufacturer's instructions for your ice cream maker. In my case, I get to crank the handle about once every 3 minutes. 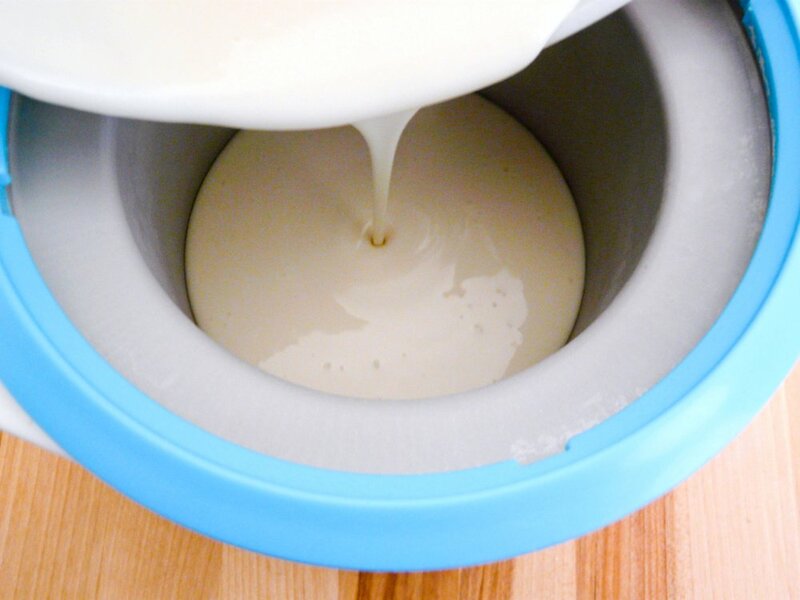 After about 20 to 25 minutes, my yogurt is ready. The great thing about the Donvier is that I get soft serve yogurt which is the consistency I'm going for. 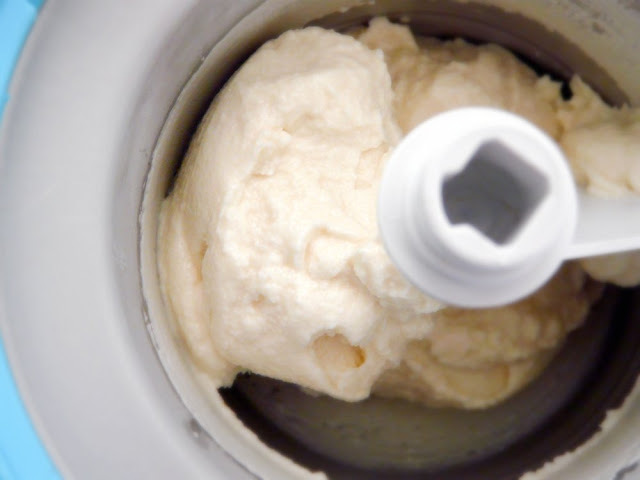 This is not such a good thing for ice cream because I prefer my ice cream in a more solid state. 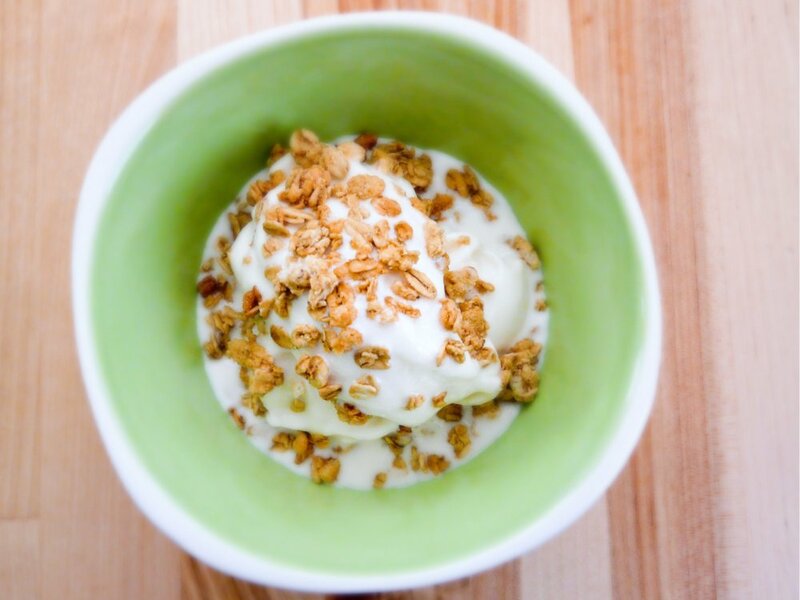 My favorite frozen yogurt topping: Granola! 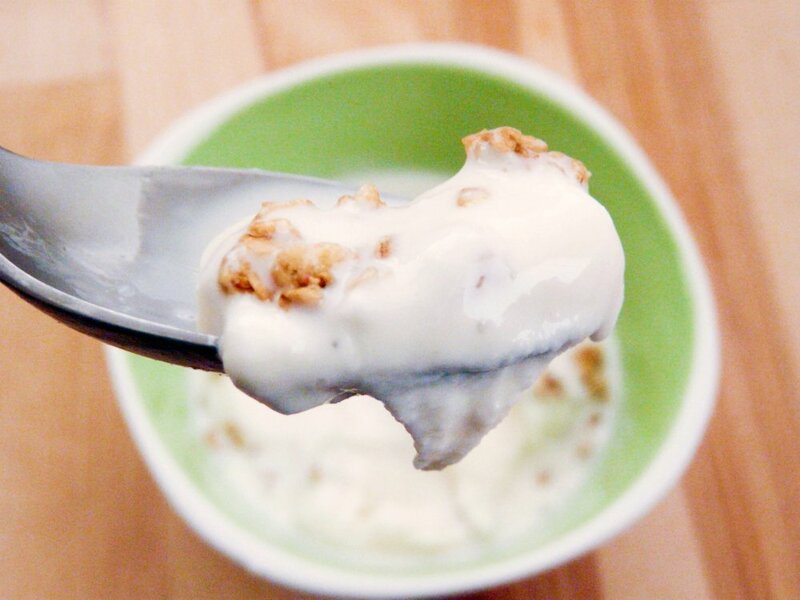 Cold, sweet, creamy and tart -- everything a frozen yogurt should be. Wow, looks like your parents are pretty strict. We too have rules for Nick when he was a teenager. During school days, he is not allow to come home later than 10pm and weekends, not later than 12 mid night. I remember there was one time he came back later than 10pm on weekdays, we have looked the door and he had to spend the night at the patio. I believed at that time he must have thought we were EVIL parents hahaha... You are right, parents can be over-protective but it is all because of love for their children. I just bought an small Kenwood ice cream machine and I am going to make this! Look SOOO lip smacking! Now that I have kids of my own, I totally get it. My son just became a teenager this year and you bet he'll be having strict curfews soon. =) Let me know how your yogurt turns out!